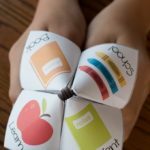 Back to school paper fortune tellers are a conversation starting game for elementary school students. 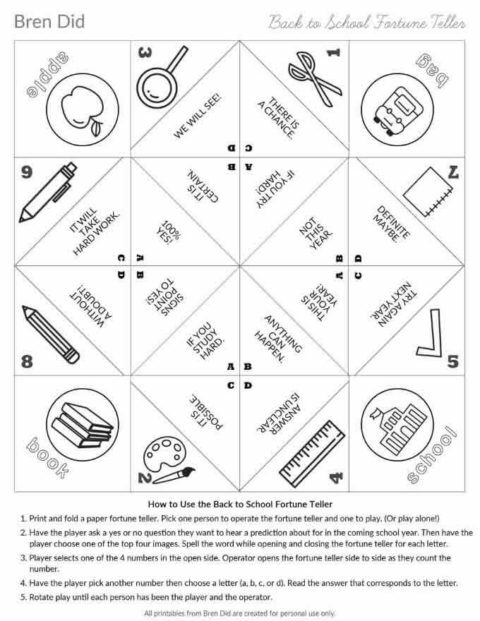 Use the free printable to get kids talking about their back to school concerns and have a fun discussion. 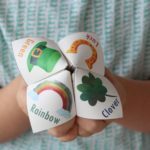 Cootie catchers (paper fortune tellers) are a easy back to school activity that kids love. Back to school time is full of uncertainty and questions for elementary school students. Who will I get for a teacher? Will my best friend be in my class? Will I have anyone to play with at recess? As parents we don’t have all the answers, but we do have the ability to ask out kids about their worries and concerns. This is easier said than done, if your kids are anything like mine. Questions get brief answers such as yes, no, or I don’t know. Not the most revealing stuff! A conversation starting game can get kids talking about the issues in their life and can allow you a glimpse into their brains. 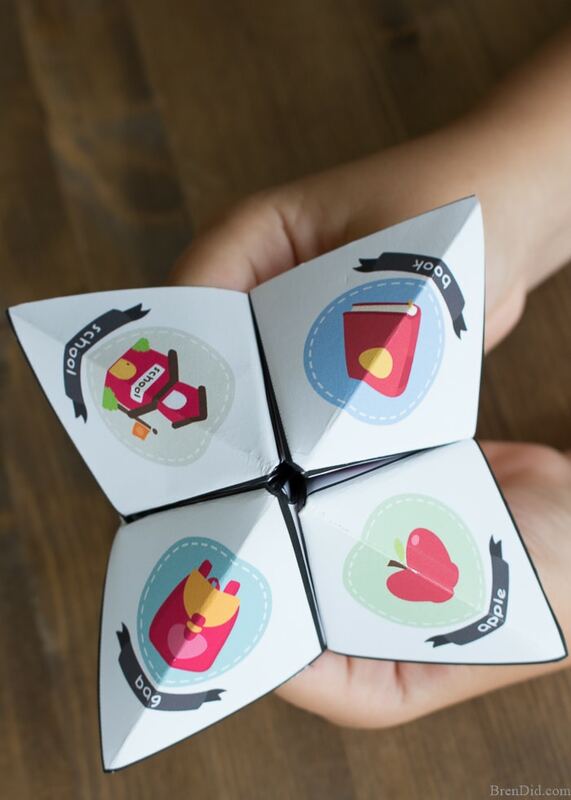 This back to school fortune teller is a kid favorite. Will I get nicest teacher? Anything can happen! Is this the year I get chosen for choir? Signs point to yes. Can I make a new friend? It is certain. Will I earn good grades? If you try hard. 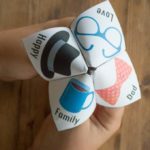 While the answers are silly, the questions children ask the fortune teller open up a line of communication between you and your offspring. Allowing parents to alleviate kids' concerns and get them excited about returning to school. 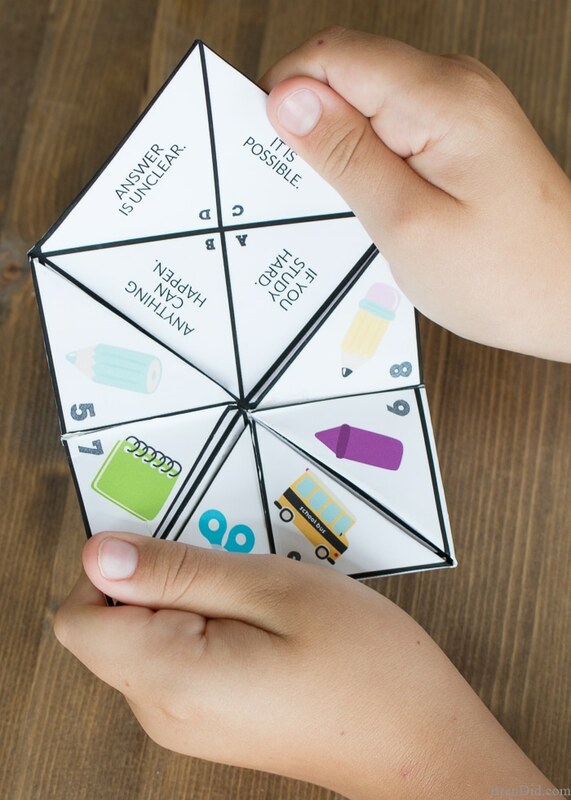 Plus, the fun game keeps kids interested in the conversation. Get the free printable PDF HERE . 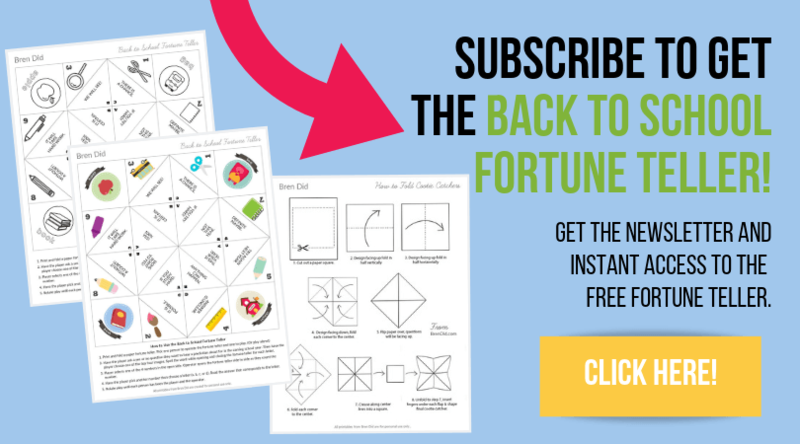 This free printable back to school activity is easy enough for young kids to cut, fold, and use. 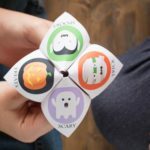 It’s a simple paper fortune-teller (sometimes called a “cootie catcher”) that has been popular since I was in elementary school. 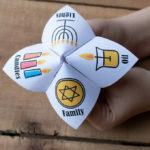 Tip: I print my fortune tellers on matte photo paper , it is thicker than copy paper and prints with extra bright colors. 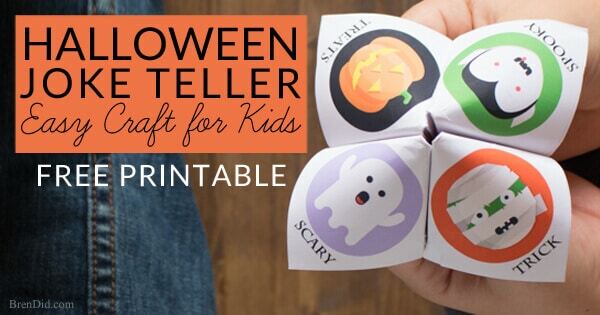 This makes a sturdy paper cootie catcher that can stand up to littlle hands! 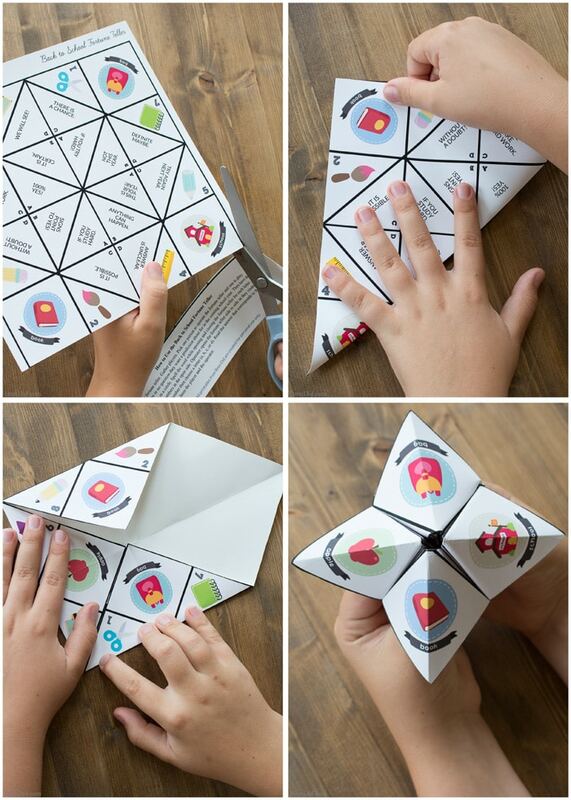 2 – Cut out the fortune teller and fold according to directions. 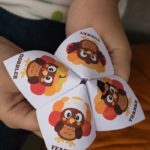 New Year's Eve Joke Tellers are full of silly jokes perfect for a kid friendly New Year's Eve party. 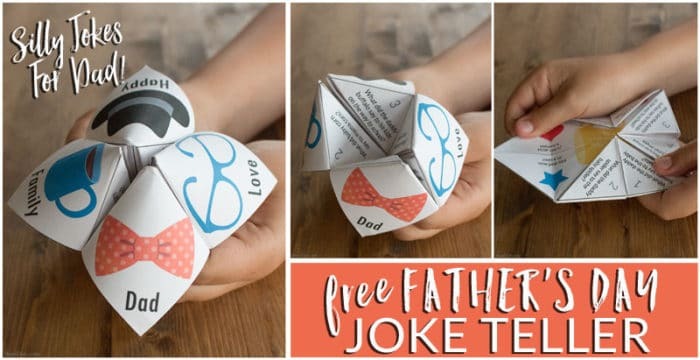 Like my free printables? 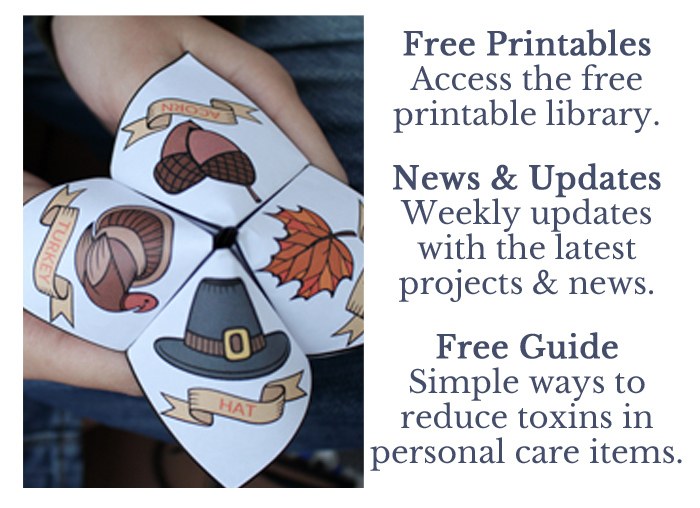 Sign up for my free newsletter below to access the free printable library and never miss a thing! Such a memorable childhood game! 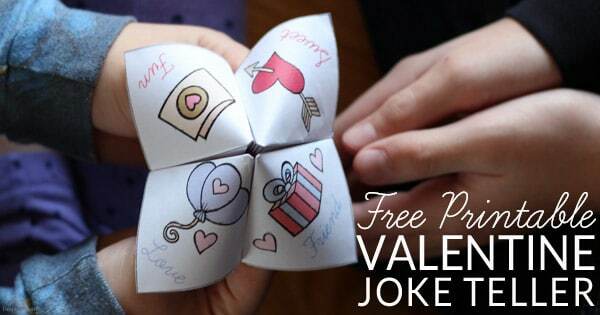 I remember folding this pretend to be predicting the future for other friends. Yes! That’s what I did in elementary school as well.